In 2016, we asked over 1,000 Fresnans of all backgrounds what issues they wanted to see prioritized by their next Mayor. We brought over 600 people together in April 2016 to hear from the candidates what they would do on those issues if elected and in the fall we spoke with thousands of new and infrequent voters in a non-partisan civic engagement campaign. Of the top issues identified by our communities, two of those were substandard housing and rebuilding community-police trust. 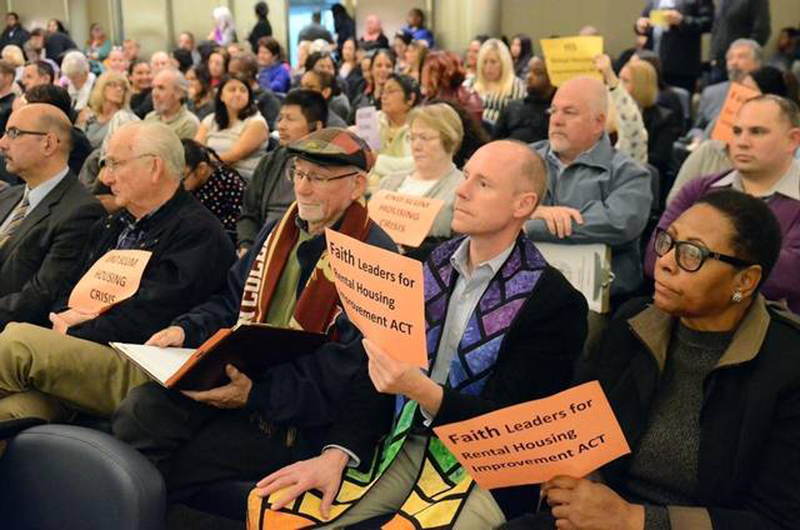 On February 2, 2017, after years of organizing for safe and healthy housing, tenants, faith leaders, students and partners packed City Hall to witness history: the City Council passage (4-3) of a first-ever proactive interior housing inspection program in Fresno, which will finally protect tenants’ rights to healthy housing in our city. 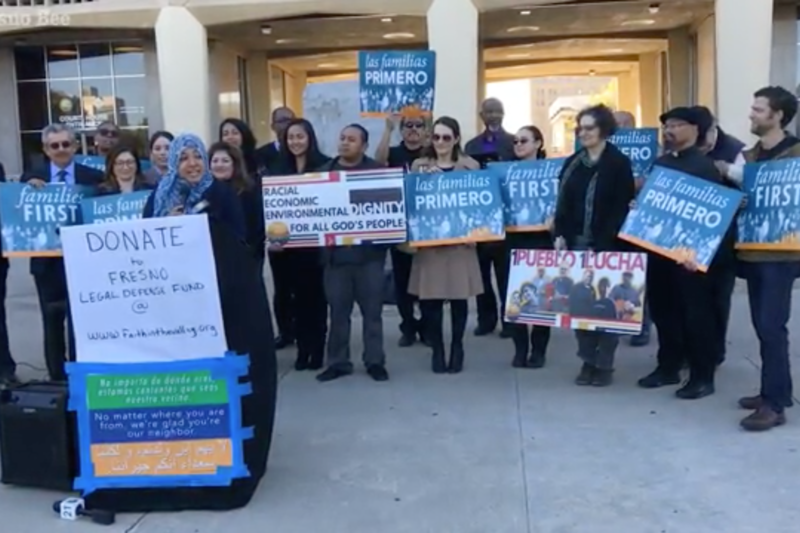 More recently, we have also seen our new Mayor begin to follow-through on his commitment to improving community oversight of and transparency into the Fresno Police Department, through his introduction of a Citizens Public Safety Advisory Board. 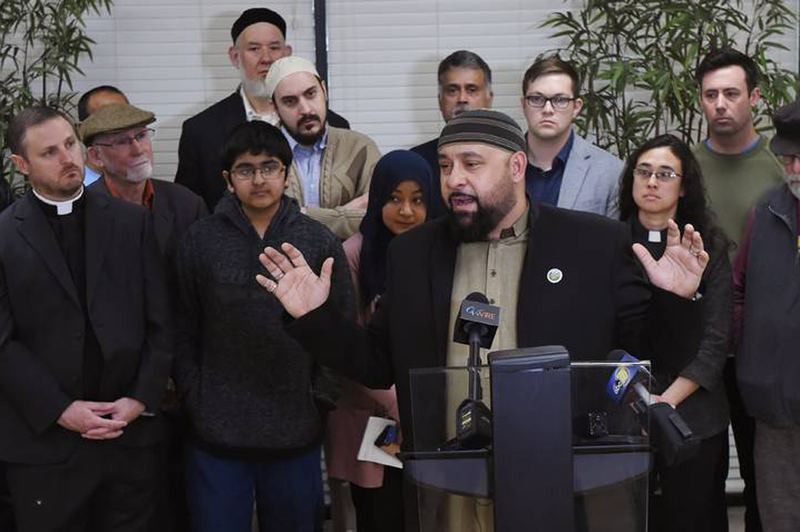 We still need this new body to be strengthened and given real oversight authority, and continue to work towards an Office of Independent Review with real investigative power.